Students to pitch products and services to judges in University-wide competition on 21 February. City University London's 2012-2013 CitySpark programme comes to a climax on 21 February. Twelve teams (including three from the School of Engineering and Mathematical Sciences) comprising 30 students drawn from across City will pitch proposals for products and services to a panel of judges in the Oliver Thompson Lecture Theatre in a closed all-day session. The winners will be announced at 5pm. Overall, 320 students registered to take part in the competition - up 30 percent on the total number of registrations recorded during the previous year. This year's finalists have come up with a number of potentially innovative products and services including: a pen that squirts ketchup; socks with buttons, so they do not get lost in the wash; and a new crowdfunding platform for investigative journalism projects. "The CitySpark competition is all about fostering an entrepreneurial, 'can-do' culture among all students at City University. Participating in the competition helps students to develop so-called 'soft skills', such as creative thinking, problem-solving, presenting and networking. These are actually key to standing out and succeeding in today's workplace." 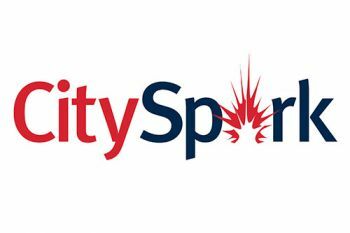 For more information on the CitySpark programme, please click here. To register to attend the CitySpark prizegiving ceremony, please click here.